Another cabin with a breathtaking view! 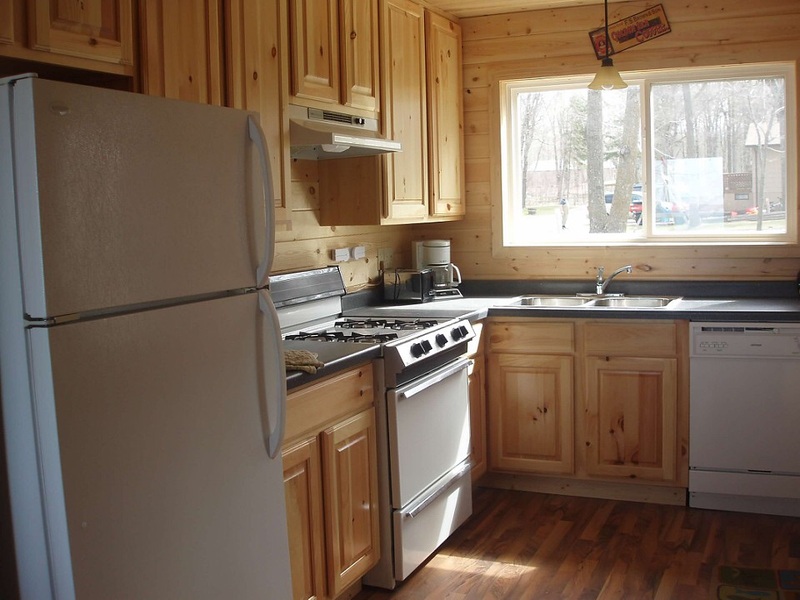 Three bedrooms and knotty pine throughout are not the only benefits to this cabin. 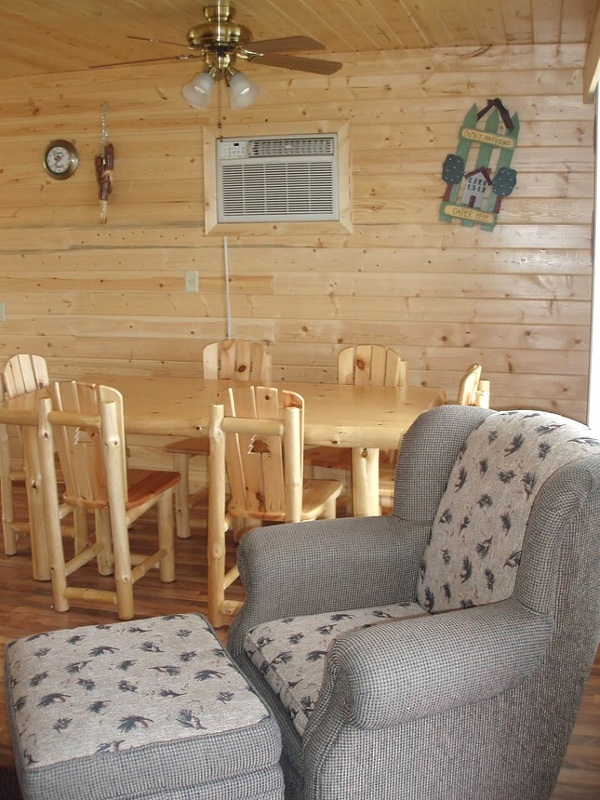 You will enjoy relaxing on the deck or grilling on the gas grill. Really . . . the gas grill is included! 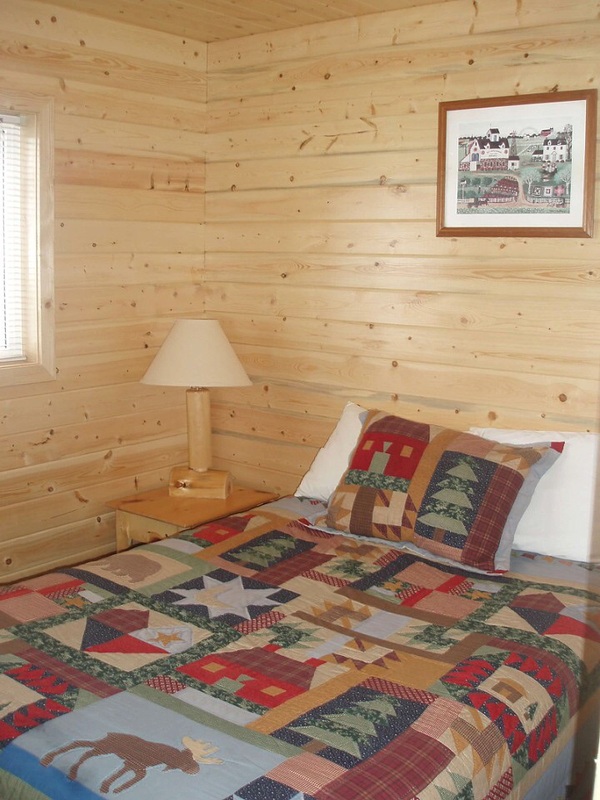 Don't forget this cabin also has air conditioning and a hide-a-bed that will accommodate two additional people. 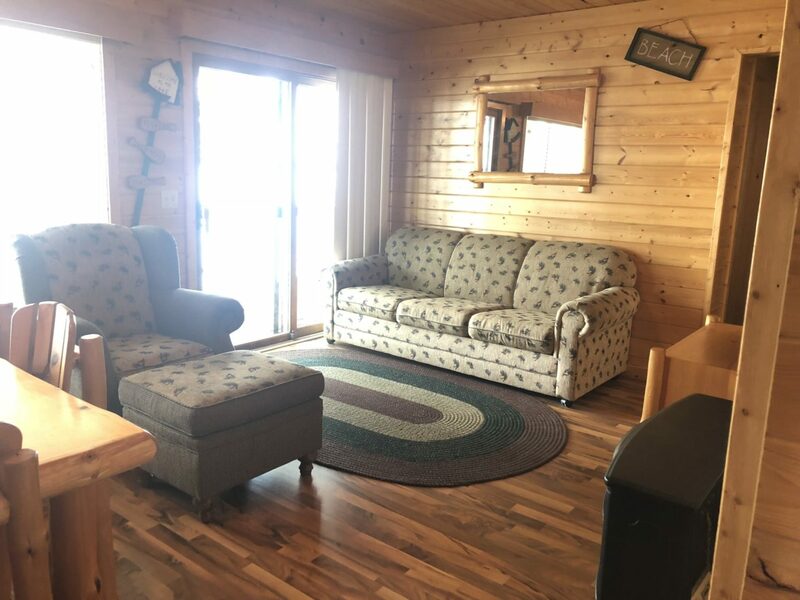 This cabin includes a roomy and thoughtfully equipped kitchen with a dishwasher, microwave, automatic coffee maker, wine glasses and cooking utensils. Enjoy the large picture window from the living room and dining room. On a cool night cozy up and enjoy the warmth of the gas fireplace. The full sized hide-a-bed will accommodate two additional people. 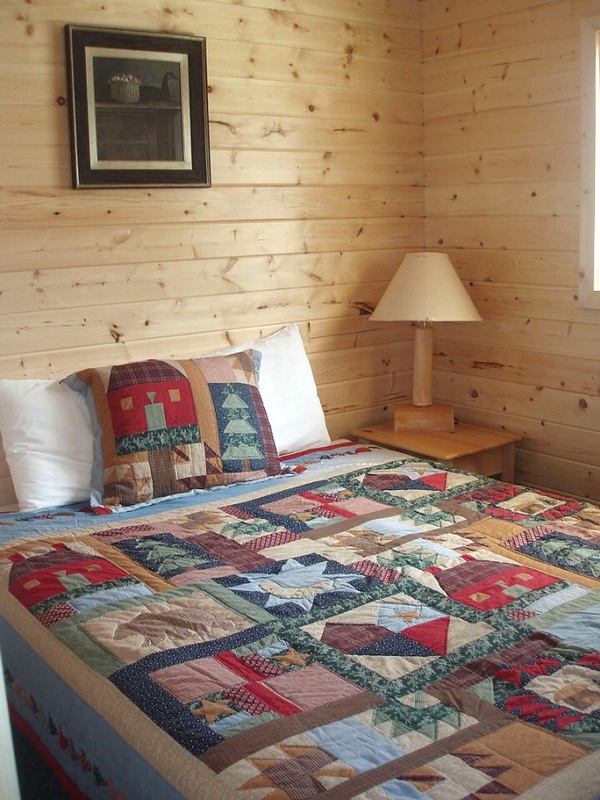 To help you feel at home, this cabin is air-conditioned. 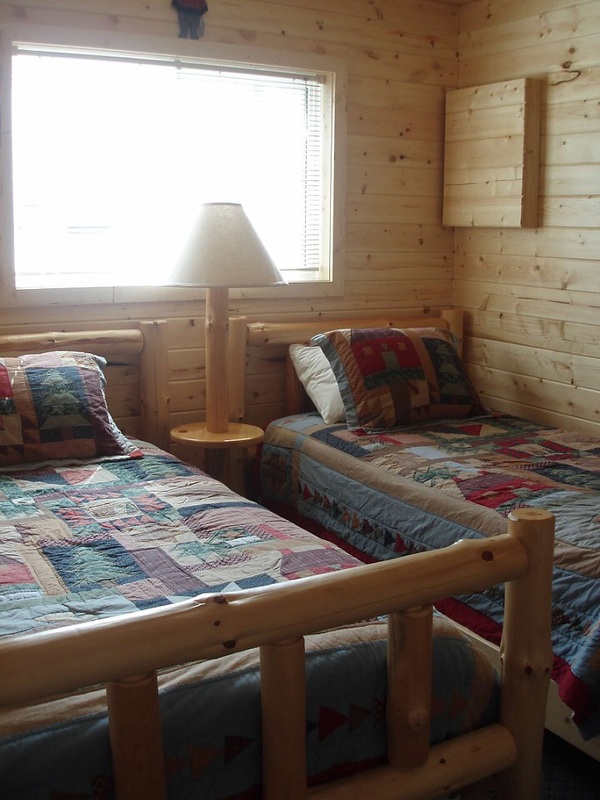 Cabin 5 has three bedrooms. One offers a queen sized bed, the second bedroom has a queen bed, and the third bedroom is furnished with two twin beds. 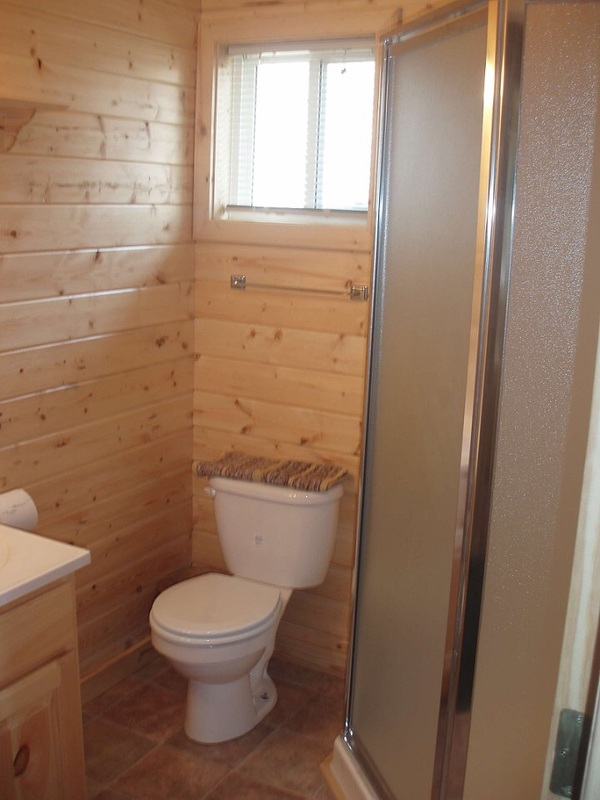 Cabin 5 has a tastefully decorated bathroom with knotty pine. We hope you save enough time to relax on your deck . . . maybe enjoy a burger or steak on the gas grill. That's right the gas grill is included with this one! While you are enjoying your time on the deck check out the awesome lake view!